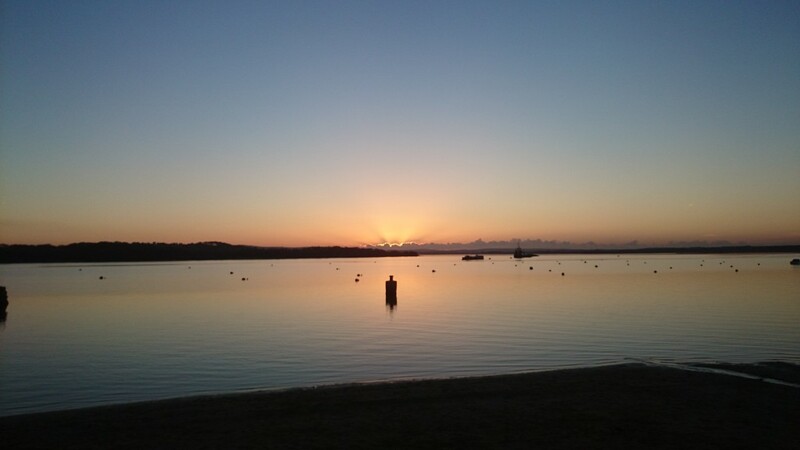 A very cold Saturday evening saw me and Martin fishing the sandbanks section of poole harbour. This was meant to be our last flounder session of the year but what I experienced made me think twice!! I would have expected the flounder to have started to move offshore to spawn by now. But there were still lots of anglers fishing for them and lots of anglers catching them! Not just in ones and two’s but double figure numbers you would expect to see in the approach to xmas. I believe the reason is its just not cold enough. 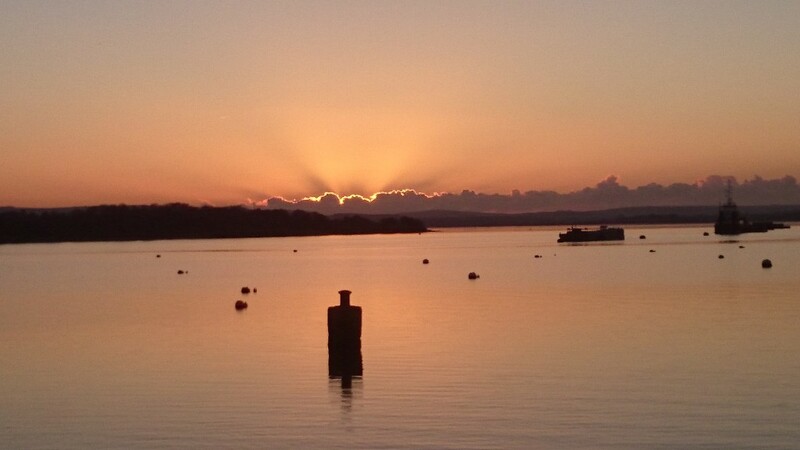 Down here in Poole we have only had a handful of frosts this year. This in turn may affect the spawning time of the flounder. 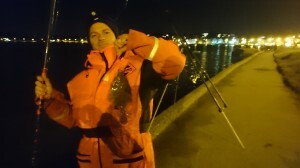 Myself I had three flounders and Martin had one and all of them were small or very small!! That seemed to be the general trend amongst the other anglers I spoke to fishing along esplanade. The biggest I heard of was just under 2lb. The tackle I used on the two rods I was fishing were 2 hook paternoster Rigs. These Rigs I had fixed two luminous pop up beads behind the hook. This helps to keep the bait off the bottom away from the crabs and after a good blast from headlight they glow in the dark. Acting as a kind of fish attractor to the bait. 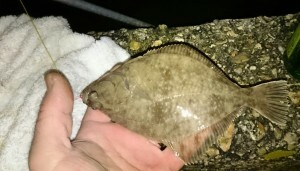 Interestingly 3 out of the 4 flounder were caught on the top hook. Coincidence!! Maybe! But earlier in the year Sean and I discussed why this happens and he pointed out that all flatfishes eyes are on top of their head and look up. So it make sense that they would only see the top hook set higher off the seabed. In other parts of East Dorset a match at Milford Shingle bank where I fished the other week saw a few half decent codling landed along with whiting and dogfish. 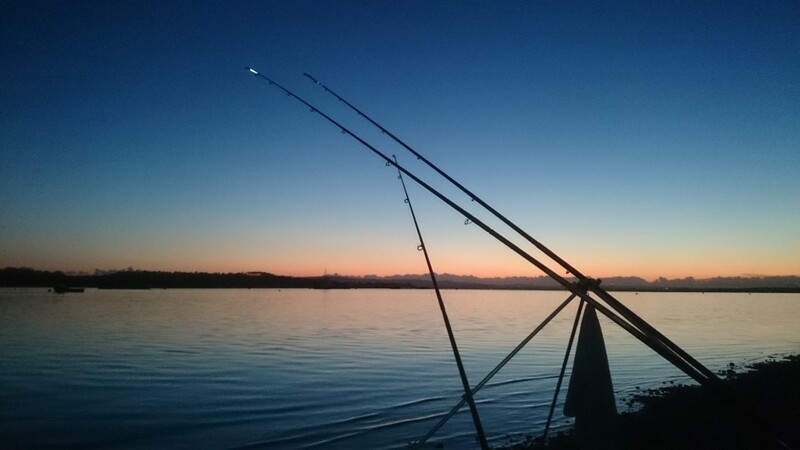 If you fish this venue I would recommend you do it on a neap tide cycle. As the tide rips along this beach. During spring tides you would be lucky to even hold the bottom with pound of lead. After Sean mentioning that Aldi were selling fishing clothing this weekend, I decided to go and have a look myself. I picked up some really warm Thermals, after all we still have a lot of winter ahead of us. 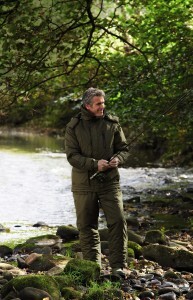 I also liked the look of their padded fishing jacket. It certainly seemed like a good bargain to me. It has been enjoyable fishing some of the pretty marks in the harbour. One trip in particular at Lake pier saw the sun go down on a cold crispy evening.Then we were treated to a spectacular sunset of golds and reds gently fading to azure blue into darkness!Following that a huge full moon that lit up the whole beach. I would have been happy with just nature’s light show but we caught fish too. That’s the stuff that keeps you going when it’s miserable and raining outside too bad to fish.